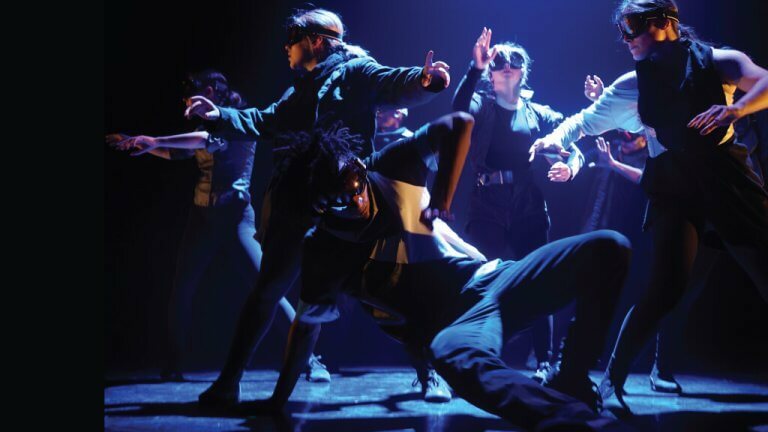 Gadfly’s artistry sits where urban dance roots and other creativity collide and tune together. Artistic directors Ofilio Sinbadinho and Apolonia Velasquez merge art with entertainment through the authenticity, artistry, and athleticism found in their signature Aybrid Movement method. Born from Chilean and Guatemalan parents Apolonia Velasquez and Salvadorian native, Ofilio Sinbadinho Portillo have been creative collaborators since 2000. Both francophones raised in Montreal, they established GADFLY in Toronto, the first urban dance-rooted dance company. Gadfly is a Repertoire Dance Company that has been moving people, pulsing questions and cooking worlds since 2006. Their body of work includes full-evening works, performances at Ted Talks Toronto, Nuit Blanche, Luminato, Festival DansEncore, and for several charitable organizations. With “Klorofyl,” Gadfly was the recipient of the Dora Mavor Moore Award for Outstanding Performance. Gadfly has been commissioned to create work across Canada for the likes of Decidedly Jazz Danceworks, Coleman Lemieux & Compagnie, Canadian Contemporary Dance Theatre, Ryerson University, the iconic School of Toronto Dance Theatre, TED Talks, Nike, and Make Up For Ever. Their works have been presented in Festivals such as Luminato, Nuit Blanche, Festival DansEncore, 100Lux, and Ontario Dance Weekend. Apolonia and Ofilio are also the founders of the Toronto Urban Festival and have set a mission to express their commitment for Artistry, Authenticity, and Athleticism.